Should You Avoid Eggplant (Brinjal) During Pregnancy? Once the news is out that you are in the family way, elders in the house come up with a list of what to eat and what not to during your pregnancy. Eggplant figures in the list prominently, but the problem is it appears in the ‘do’ as well as the ‘don’t’ list. If you are confused whether or not to eat eggplant during pregnancy, we will help you decide on that. Read on to understand the benefits and side effects of eggplant on an expectant mother. Eggplant, also popular as aubergine, is one of the commonly found vegetables in Asia. In India, the plant is famous as a poor man’s caviar and is known for its health benefits. The high nutritional value of eggplant promotes good health in a would-be mother as well as her fetus. However, certain myths exist about the consumption of brinjal while you are expecting a baby. Let’s know how safe it is to eat the vegetable (1). Eggplant is a highly nutritious food that you cannot avoid during pregnancy as it offers a range of health benefits for you and your unborn baby. Here, we list some of the key health advantages of eating eggplant while pregnant. Eggplant is a rich source of folates, and folic acid is a crucial nutrient that you need during pregnancy to prevent the risk of birth defects in the unborn baby. 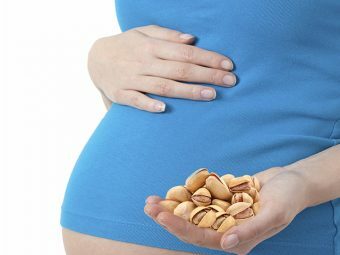 So, eating the nutritious vegetable while you are expecting protects your baby from developing neural tube defects and other birth defects, and promotes the development of red blood cells. Eggplant is an excellent source of vitamin C, niacin, B complex, vitamin A, and vitamin E, which are essential for the optimal development of your fetus. Also, eggplant has minerals such as potassium, copper, manganese, and iron, which help maintain electrolyte balance and increase the blood supply and hemoglobin count significantly. 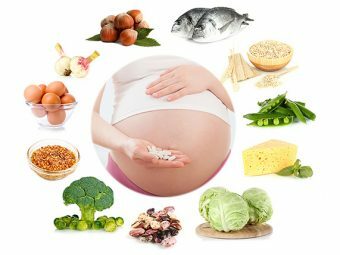 If you happen to suffer from gestational diabetes while expecting, then it becomes necessary for you to control blood glucose levels to prevent fluctuation in sugar level. Adding eggplant preparations to your diet work wonders, as it aids in regulating gestational diabetes and preventing spikes in blood sugar levels substantially (2). The consumption of eggplant during pregnancy helps promote smooth digestion and absorption of nutrients from the digestive system and treats digestive disorders. Also, eggplant is an excellent source of dietary fiber, which helps promote smooth bowel movements and minimizes constipation during pregnancy. An ordinary brinjal provides about 4.9 grams of dietary fiber. 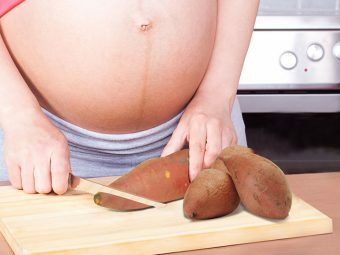 So, you can enjoy eating scrumptious cuisines of eggplant while expecting to have an appropriate supply of nutrients to you and your fetus (3). Eggplant is a rich source of nasunin, an anthocyanin that is present in the skin of the eggplant. Nasunin possesses antioxidant properties that help neutralize the free radicals in your body and prevent the risk of cell and DNA damage during pregnancy. Consuming antioxidant-rich eggplant helps boost your immunity and avoid the risk of developing harmful infections and diseases during the delicate phase. Also, nasunin prevents the risk of cognitive disorders in newborns. 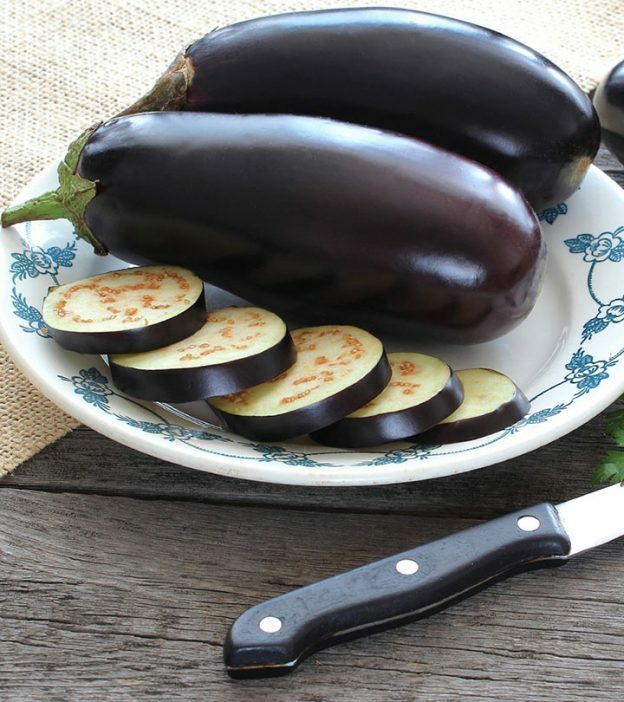 If you happen to suffer from hypertension while expecting, then eggplant acts as an excellent natural remedy for it. Bioflavonoids present in the eggplant minimize blood pressure, promote good heart health, and prevent the risk of health complications during pregnancy. Even though you enjoy several health benefits, consuming eggplant in inappropriate quantities and improperly can make you vulnerable to certain side effects. Here, we talk about the potential side effects of eating brinjal during pregnancy. Eggplant contains high amounts of phytohormones which possess menstruation-inducing properties and aid in treating menstrual problems in women, such as amenorrhea and premenstrual syndrome. However, if you eat brinjal daily while you are expecting, then it may induce labor and lead to miscarriage (5). Consuming excess of eggplant while expecting can stimulate uterine contractions and lead to premature delivery or abortion. So, it is wise to avoid adding brinjal to your regular diet. Eggplant can cause acidity and discomfort. 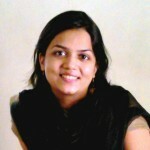 Acidity can invite related problems and hamper your smooth pregnancy. Consuming undercooked brinjal can cause digestive problems that can prove harmful to your pregnancy. The vegetable can make you vulnerable to food allergies. So, cook the vegetable properly before you consume it (6). In Japan, eggplant is considered a dark food that contains ‘cold’ energy (7). Even though medical experts do not strictly suggest on avoiding brinjal during pregnancy, you need to ensure it is consumed in moderation to avoid potential risks and complications. 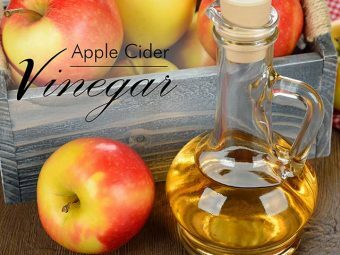 Make sure you cook it thoroughly to avoid digestion problems. Also, have a word with your physician. 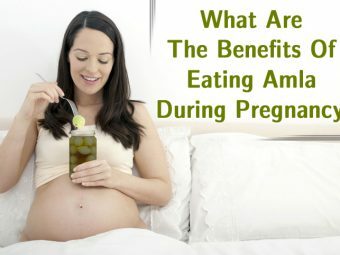 Did you enjoy eating eggplant during your pregnancy? How did you benefit from it? Share your experience and knowledge with other moms-to-be by leaving a comment below.